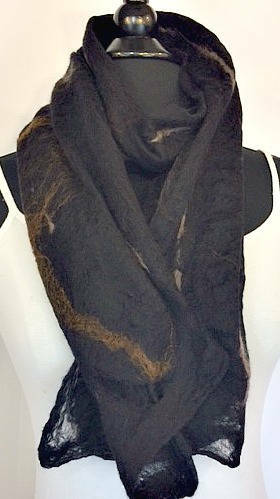 This black felted cobweb scarf was handmade of the finest Merino wool and accented with a beautiful brown silk. It is a very soft piece and will be comfortable to wear. 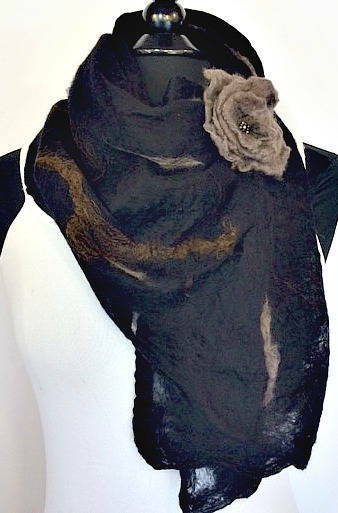 The scarf was made through the process of wet felting. 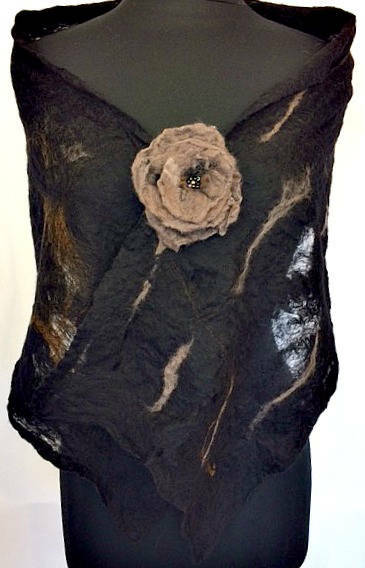 It is unique and is sure to dress up a casual outfit and will be perfect for that cool fall evening when you just need a little something to wrap around your shoulders. It is meant to bring about a sense of peace and serenity to the person who is wearing it.